At the centre of this interdisciplinary workshop is the idea that there are fruitful areas of interaction and conversation between waste management professionals, media scholars, historians, creative artists and media practitioners for thinking about the ways in which waste is both managed and mediated in the city of Lagos. The workshop will ask how public opinion is shaped: how do ideas about waste shape local perceptions of the urban environment, and in what ways do the media contribute to the formation of public opinion about waste? • Media and mediations: how is urban waste represented in the media? • Public relations: how do waste management professionals engage with public opinion about waste in the city? • Creative engagements: what creative practices exist in urban cultures for the processing and recycling of waste? • Interpretation: what does ‘waste’ (and its associated terms) mean to the diverse residents of Lagos? • Colonial history: how important to contemporary society is the history of waste in Lagos? • Urban spaces: what is the relationship between buildings and waste? • The arts: how does waste feature in the literature and culture of (and about) Lagos? Please submit a short abstract (max 200 words) to The Lagos Team (email addresses below) on or before 1 October 2015. 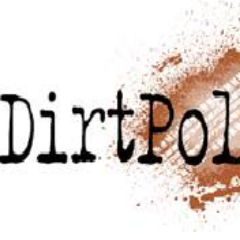 This project asks about the implications of locally situated understandings of dirt in diverse African contexts for current debates about urbanisation, the environment, sexuality and ethnicity. In examining the concept of dirt from the period of early colonialism in the 1880s through to the present day, the project examines contemporary popular media and public health debates in relation to Africa’s long history of intercultural encounters with the West. The aim is to historically contextualise wider policy issues relating to public health, urbanisation and community relations in African cities. Since moving from the UK to Yale University in July 2015, the project has narrowed its focus to Lagos. This is our first project workshop in Lagos.